Dr. Paul Jaskoviak will be reviewing acupuncture and meridian therapy focusing on master points in the afternoon. This course is for beginners as well as experienced doctors and will give you the tools you need to successfully treat your patients. Dr. Hart will end the day teaching the rationale, procedure, and interpretation of evidence-based in-office testing that will monitor ANS changes following your spinal care, comparing pre- and post-adjustment findings. An additional feature of the seminar is the instruction on how to put together a case study on these findings, suitable for your website or, if you want to take it to the next level, in a peer-reviewed journal. b. 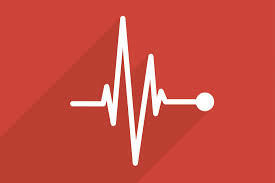 Resting heart rate and heart rate variability. Technology includes App-based methods as well as a three-lead ECG unit. c. Sit-to-stand heart rate test using App and radial artery palpation. If you’re looking for objective, evidence-based assessments to monitor autonomic function in your practice, this seminar is for you!